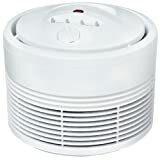 Breathe easier with Honeywell 50100 Enviracaire True HEPA Air Purifier. HEPA (High Efficiency Particulate Arresting) filters have been around for quite some time. In the 1950's, the HEPA filtration concept was used in government and science labs to filter fine radioactive and other toxic particles from air. Today, it's used to filter home air. The density of the HEPA system can trap 99.97% of air particles that flow through the filter, as small as 0.1 micron. This includes pet dander, allergens, mold, spores, and smoke. While HEPA removes fine particulates, it does not remove room odor. 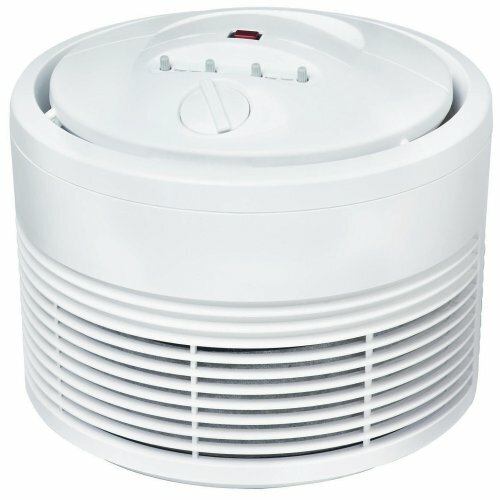 The 50100 Enviracaire True HEPA Air Purifier adds a Carbon filter that filters odors as well. A pre-filter system captures larger particles. Patented 360 degree Air Intake adn Discharge for effective air cleaning power.